ARMS was released on June 16th worldwide, and since then, Nintendo has been sharing various bits of contents over on the official Twitter account. Therefore, we have decided to revive the ARMS Twitter post, where we can gather all the content shared on that Twitter account. Just like our other Twitter posts, this one will be kept up to date as new content is shared by Nintendo, but regularly, old content will be archived in a separate post. You can find the list of previous posts below! Today, Nintendo shared another video clip, but this time it’s for a brand new ARM that will seemingly be introduced in the next update (alongside the new fighter and stage). It seems to be a shield-type ARM, that can reflect attacks, though it’s not clear how it works yet. No doubt we’ll get more details pretty soon! Yesterday, Nintendo shared a rather intriguing picture over on Twitter. 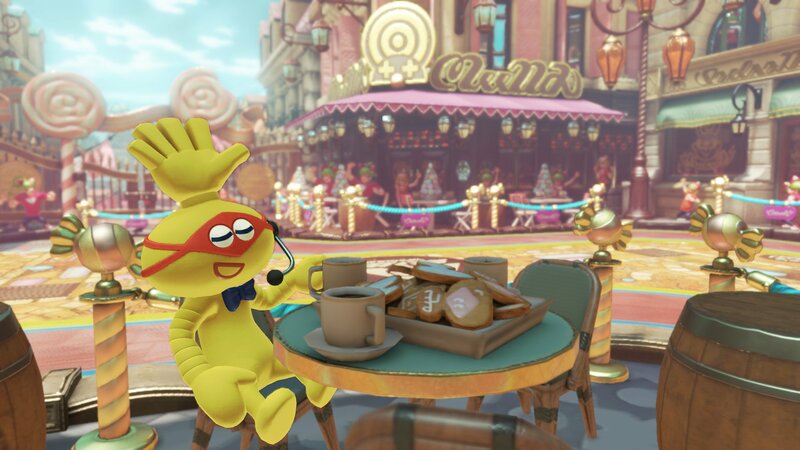 It shows a candy-themed stage that clearly isn’t in the game (yet), but that’s not all: Biff also mentions a fighter “making a name for themselves” on that stage. Who could it be? Nintendo did promise that the new update would include a new fighter, so we probably don’t have much longer to wait before finding out! 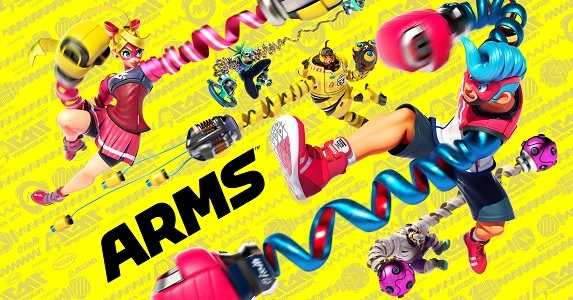 ARMS (Switch) is already available worldwide.